YSL's Glossy Stains (more formally known as Rouge Pur Couture Vernis à Levres) took the beauty world by storm when they were released in early 2012 and have spawned a number of copycats, both high end and drugstore. 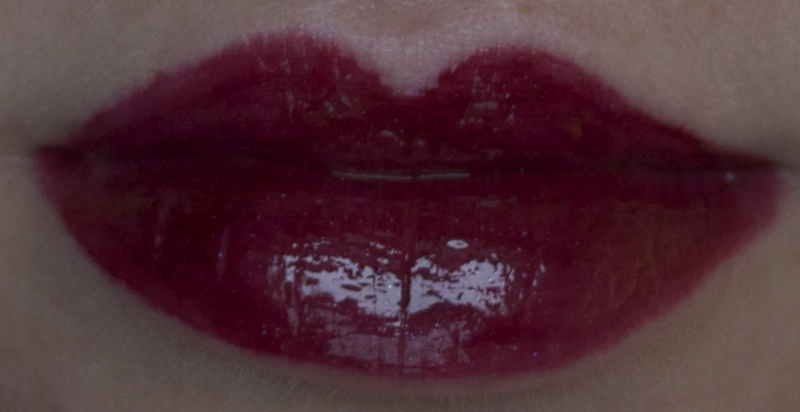 Despite the number of similar products now on the market, the YSL Glossy Stains keep drawing me back in to their web. I started with #5 Rose Vintage. 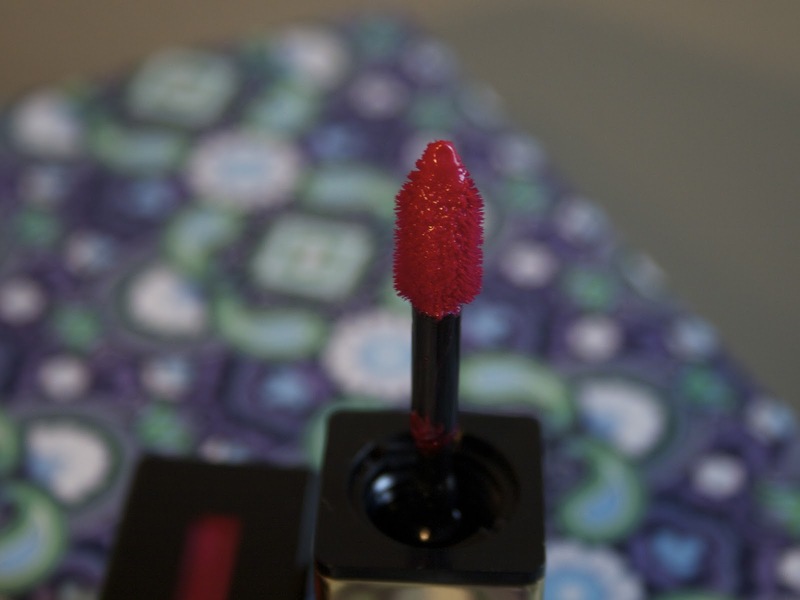 Then #12 Corail Fauve (see my original review here), and about a month after that #15 Rose Vinyl. I love the glossy finish and staying powder of these products, and unlike many, I don't mind the smell (it fades so quickly and I'm generally not bothered by scents). So, when I heard that Yves Saint Laurent was going to be releasing "The New Vintage Collection," featuring (amongst other products) six new shades in the Glossy Stain range. And then I waited for them to be released in the US....and then waited some more....and then waited some more. Rumour was that they were available at some beauty counters, but I searched far and wide online and could not find them for sale anywhere. Until, lo and behold, four new shades appeared on Sephora.com. Only two of these (23 Fuchsia Cubiste, 26 Violin Surrealiste) are from the New Vintage Collection, the other two (27 Pêche Cerra-Cola, 29 Rose Forreau) are part of the YSL Spring 3013 collection. 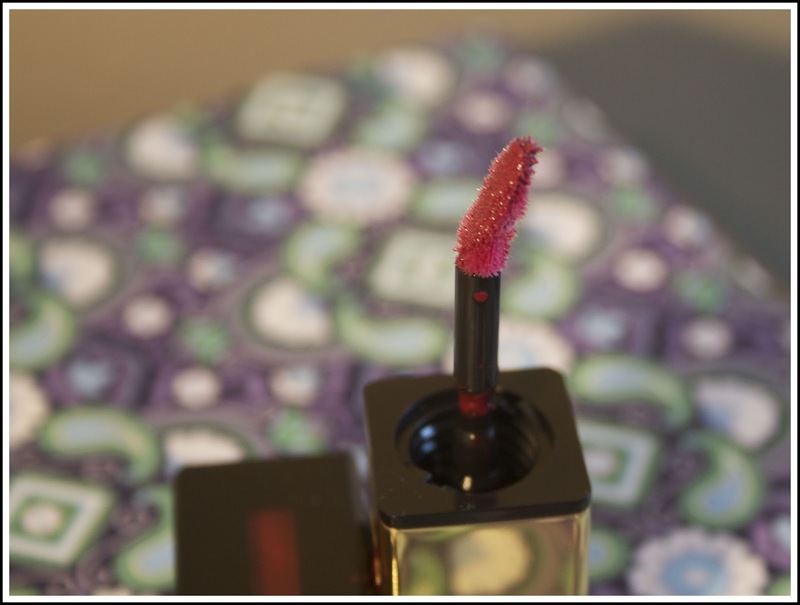 After perusing the limited number of swatches I could find online (including here), I opted to pick up #23 Fuchsia Cubiste and one colour from the original collection, #13 Rose Dore. YSL recommends putting on one layer for a more natural glow, and adding a second for more intense coverage. I find that putting one layer on, letting it dry a bit, and then putting on a second layer gives the most even coverage and best staying power. #23 Fuchsia Cubiste does not appear fuschia to me, but rather, a deep berry colour with a hint of brownish tones. It is labeled as having shimmer, but these show up more in the arm swatch than on my lips. 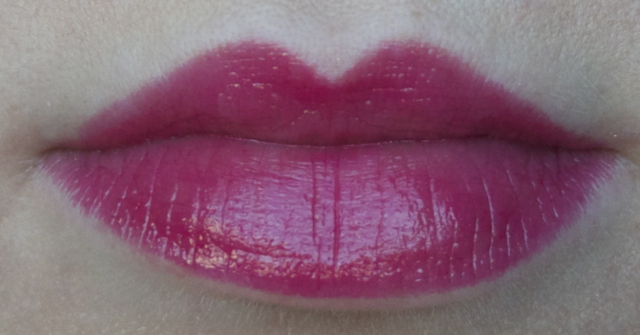 If I look very closely at my lips, there is some very fine shimmer, but it's incredibly subtle and hardly noticeable. While I normally am happiest with apply two coats of my other Glossy Stain shades, I actually preferred this with just one coat (although, I didn't realize it at the time, so didn't have the chance to photograph it). #13 Rose Tempura is a beautiful mid-tone pink. It's bright without being too bright, with subtle shimmers throughout (the shimmer in Rose Tempura is more noticeable than in Fuchsia Cubiste, but it is still incredibly refined and subtle). 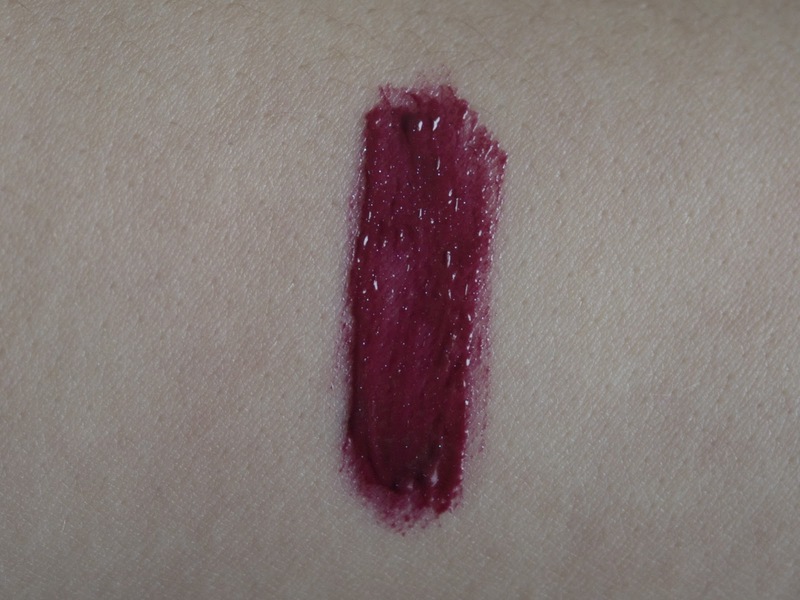 It goes on very evenly--probably the easiest to apply out of all five colours I own and it has the excellent staying power that everyone has come to expect from the Glossy Stains. The colour does deepen a bit after being on the lips for a couple of minutes, as do most of the shades, but not by a huge amount. I imagine this shade would be wearable year round--it definitely suits spring and summer, but it is deep enough to be worn in winter as a nice alternative to a red or berry. Already, I think this is my favourite! 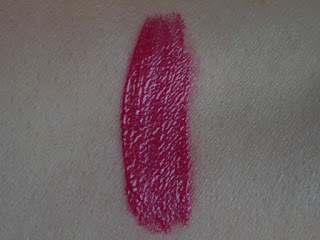 Others have noted (here) that it's an exact dupe for the NARS Velvet Gloss Lip Pencil in Mexican Rose, which I also own. Unfortunately, I don't have Mexican Rose with me at the moment to do a side-by-side comparison, but here is Mexican Rose on me earlier this year, and as you can see it is a bit light/brighter (with no shimmer) and definitely less glossy than Rose Tempura.